In 2015, Privredna Banka Zagreb (PBZ), part of Intesa Sanpaolo, extended EUR 1 million to Kelemen Energija for the Dabrova Dolina 1 hydropower plant as part of an EBRD-financed sustainable energy credit line. The plant was built in the river Mrežnica Natura 2000 protected area at the site of a ruined watermill. Damage to a Natura 2000 protected area due to changes in the project design. Failure of the Croatian authorities and EBRD to carry out effective monitoring and enforcement – now starting to be addressed. Lack of transparency – no-one knew who was financing the plant until Bankwatch pressed the EBRD to publish belated information about its projects financed through intermediaries. The beautiful blue-green Mrežnica river in Croatia is home to a range of species including dice snakes, stone crayfish and otters. More than ninety tufa barriers have gradually formed along its course by calcium carbonate being continuously deposited in the river. They are mostly shaped by mosses, insect larvae and other invertebrates. This delicate process results in fragile deposits that can easily be destroyed but represent a crucial habitat. Tufa barriers are one of the two habitat types for which the whole river is protected as part of the EU’s Natura 2000 network. 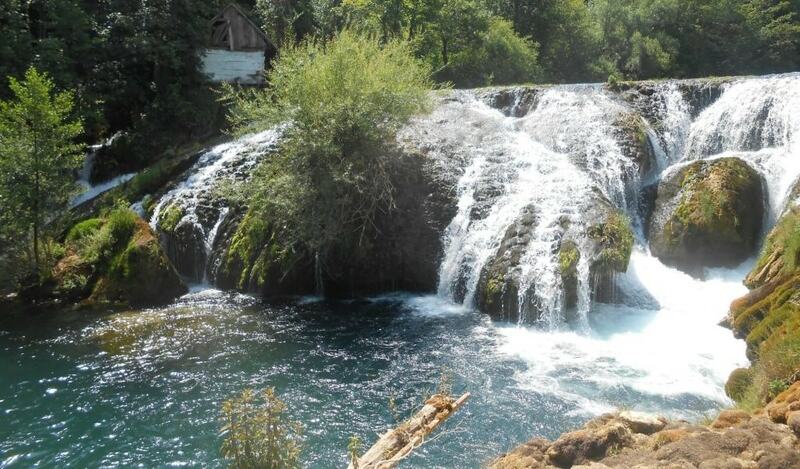 The highest of these is the Šušnjar waterfall. Kelemen Energija’s original plan to rebuild a ruined watermill at the site and turn it into a small hydropower plant did not appear problematic, as it was supposed to use the reconstructed millstream and mill. Since there was no plan to dam the river, the main issue was to avoid damaging the tufa barriers. 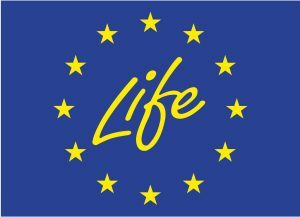 A biodiversity impact assessment was carried out in 2013 and the project was approved, but with 23 measures stipulated to reduce harmful impacts on the Natura 2000 network during construction. For example, construction vehicles and workers were not allowed to come into direct contact with the tufa barriers, the mill was to be reconstructed following specific conditions, and no deepening of the riverbed for the water intake was allowed. Only the water which ran over the waterfall in the direction of the channel of the former mill was to be used. In addition, a sensor was to be installed on the left side of the cascade that would shut off water flow to the plant when the flow on the cascade would go below 1.5 m3/second. In February 2014, things started to go wrong. An amended biodiversity approval was issued, as the project design had changed, but no new biodiversity assessment had been carried out. Generation had increased from 1.32 GWh to 1.8 GWh annually, the flow diverted to the hydropower plant had increased from 4.5 m3/s to 5 m3/s, and the planned water intake had been moved several metres upstream. The depth of the intake entrance was no longer mentioned. It was, however, still clearly written that power generation would be stopped in times of low water and that the old mill would be reconstructed for the powerhouse. In reality, Kelemen energy dug into the riverbed in order to construct a new concrete channel, which did not follow the route of the original millstream, and a large hole was dug into the tufa. The old mill building was not reconstructed at all, as completely new infrastructure was built. Oddly, Kelemen also built another smaller, more decorative water channel as well, resembling a millstream. This does not serve any purpose, but merely serves to divert even more water away from the tufa barrier. The creation of its intake also clearly damaged the tufa. For the next two years, the situation became more and more Kafkaesque. Local and national authorities carried out several inspections but acted as if even the most blatant breaches never happened. By April 2017, the plant had started operating, and Croatia was suffering from a drought for whole summer. The Šušnjar waterfall was dry, as was the vegetation on the tufa barrier. Yet the water intake for the hydropower plant still appeared to be taking in water. In August 2017, a response to WWF from the national nature protection inspectorate claimed that the ecologically-acceptable flow rate of 1.5 m3/second prescribed by the biodiversity approval was being respected. But from the inspectorate’s answer it became clear that the sensor for measuring water flow was never put in place, but the water levels were taken from gauging station – 2 kilometres upstream. This meant that the flow would have to fall below 1.5 m3/s for the whole river Mrežnica, not just the left part of this cascade, in order for the intake gate to be closed. No wonder the plant was still working. In December 2017 the Croatian Ombudsman approached the Agency for Environment and Nature based on a request from a member of the public and the Agency undertook a field visit. It confirmed that the sensor for shutting off generation is not there, so the low water measurements were in the completely wrong place and needed to be moved to the left side of the waterfall as originally stipulated. It also confirmed that more water was being directed away from the waterfall than was approved. The agency concluded that the entrance to the mill channel should be returned to its previous state so that in periods of low water, water does not enter the channel but flows over the waterfall. By March 2018 it was clear that no action had been taken in response to the Agency for Environment and Nature’s findings. In the meantime, the EBRD had disclosed the fact that it had financed the project through PBZ. WWF, Eko Pan and Bankwatch therefore contacted the bank with details about what had happened and the Croatian authorities’ failure to act and asked the bank to ensure that Kelemen Energija took measures to improve the situation. The bank’s response was very disappointing. In its mail of 2 May, the EBRD stated that PBZ had confirmed that “no design changes have occurred and that all permits and approvals have been met.” This was clearly not true, and the NGOs had provided ample explanations and evidence to refute this. For the next few months, the EBRD kept directing the groups to PBZ, while PBZ did not engage in dialogue at all. In Spring 2018 WWF contacted the European Commission’s Directorate General for Environment and sent documents, pictures and videos about the case, in preparation for a meeting with the Croatian Government. The meeting took place in early November 2018, and the case of Dabrova dolina 1 was raised. Finally after the meeting with the Ministry of Environment and Energy, things started to move, as the Ministry finally made a positive move to save the Šušnjar waterfall. The Nature Protection Inspectorate ordered the investor to bring the hydropower plant’s operations into line with the stipulated mitigation measures within 30 days of delivering its findings, including installing the flow sensor or monitoring of the flow on the left side of the cascade and adjusting the mill channel to make sure water does not enter during low water periods. Although Kelemen Energija submitted an official complaint against this requirement, the company did take the measures prescribed. While these cannot undo the physical damage done by the works, they may help prevent further degradation of the tufa barrier if the plant will really does stop production during dry periods. 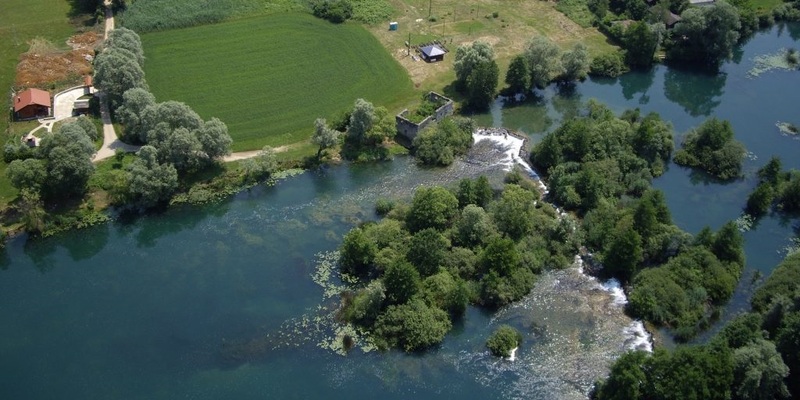 Dabrova dolina 1 is a prime example of why hydropower development shouldn’t be allowed in protected or other environmentally-sensitive areas, especially in countries with poor environmental governance. Even a project which appears relatively low-impact on paper can turn out much worse in reality. If there is no credible threat from authorities to enforce their decisions, then there is no incentive for hydropower investors to comply with the permitting conditions. This is also an example of why projects financed through financial intermediaries need to be disclosed to the public in advance of their approval. Such projects may be small but they can still be harmful.